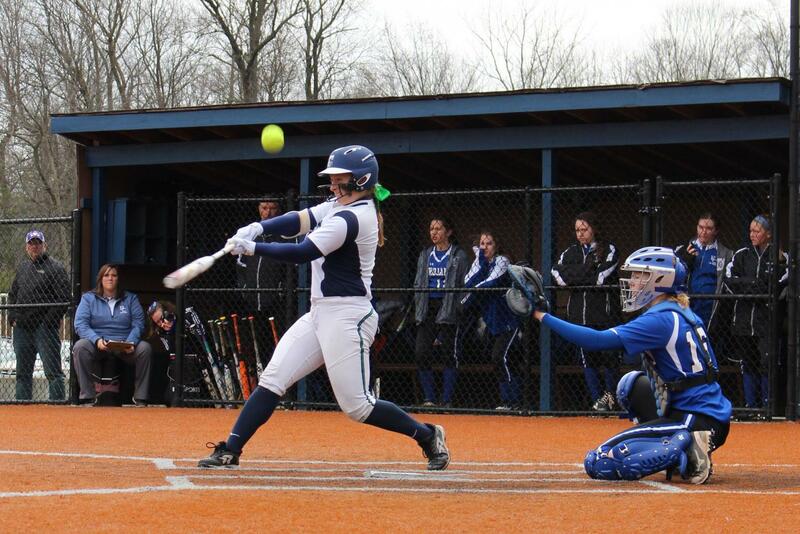 The varsity softball team, shown in action last year, plays several games during the week of April 8. Athletics Director Mr. Rick Streiff has released the athletic schedule for the week of April 8. Some of the key home events are listed, with the complete schedule available on the athletics website. April 8: The Gold baseball team plays Lebanon at Brunette Park at 5:30 p.m.
April 9: The men’s varsity golf team hosts Roncalli and Zionsville at 4:15 p.m. at Sagamore Golf Course. The men’s freshman volleyball team plays Tri-West at 6 p.m. with the varsity team to follow at 7 p.m. The women’s JV softball team hosts Franklin Central at Brunette Park at 5:30 p.m.
April 10: The JV softball team hosts Avon at Brunette Park at 5:30 p.m. The JV women’s tennis team plays Guerin Catholic at 5 p.m., with the varsity team playing at the same time on the courts. The Gold baseball team hosts West Lafayette Harrison at Brunette Park at 5:30 p.m. while the varsity team hosts Speedway on the varsity field. 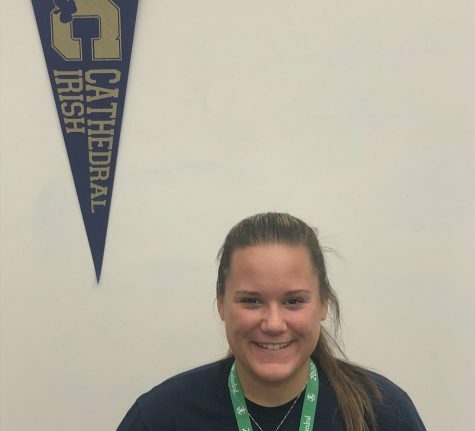 The women’s Gold lacrosse team plays Carmel at 5:30 p.m. on campus with the Blue team to follow at 6:30 p.m.
April 11: The men’s JV golf team hosts Roncalli and Zionsville at the Golf Club of Indiana at 4:30 p.m. The women’s varsity softball team hosts Lutheran at 5:30 at Brunette Park. April 12: The women’s varsity softball team hosts Covenant Christian at 5:15 p.m. at Brunette Park. April 13: The varsity baseball team has a doubleheader against Fort Wayne Homestead starting at noon at Brunette Park. The Gold baseball team hosts Anderson for a doubleheader starting at 10 a.m. at Brunette Park. The women’s Gold lacrosse team plays at 11 a.m. on the practice football field on campus. Both the men’s freshman and JV volleyball teams host a tournament on campus starting at 9 a.m.